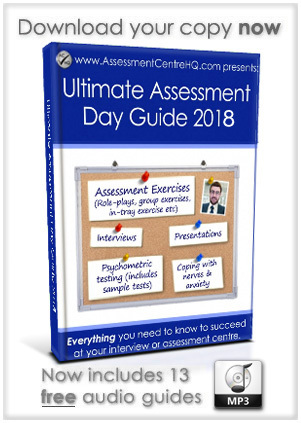 Check out our Ultimate Interview & Assessment Day Guide– it’s filled with tips, tricks and insider-secrets that will help you succeed on the big day. Get hold of Teach First interview preparation tools here andpractice tests here. This is a group exercise and for many people it’s the least favourite part of the Teach First Assessment Centre. It will test your problem solving skills, your thought processes, your ability to express yourself and interact with the rest of the group. I’ve written an extensive guide covering this, so go and check out my Group Exercise Success Guide. Firstly, you should check out my theinterview success area of the site – there’s TONS of resources there that will help you during this part of the Teach First Assessment Centre. Secondly, you can get hold of Teach First interview preparation tools here andpractice tests here. Practise the interview scenario with your partner, mum, dad, goldfish etc. Get someone to help you by asking the questions. Rehearse your key messages and sentences. Practise aloud. Practice aloud. I know you feel silly doing it, but practice aloud. I’ve written in-depth success guides for numerical tests. You can find my numerical reasoning success guide (including practice tests) here. I’ve written in-depth success guides for verbal reasoning tests. You can find my verbal reasoning success guide (including practice tests) here. The minimum pass requirement for both tests is 60%, so it is vital that you know what to expect. You can probably guess what I am going to advise here: Practice! So, last Friday I ventured to London and felt like a ‘big city’ businesswoman for the day, taking the tube like a pro with my Oyster card to offices with a fantastic view (see pic!). Not a bad location for an office! But it wasn’t all in the name of role play; I was invited to my very first assessment centre at TeachFirst. I’d applied for their Leadership Development Programme with the view to getting some experience ahead of the ‘real deal’ of applying for their teaching programme in my third year, but managed to do well enough at the application stage to get invited to a day-long assessment of my suitability and ‘fit’ with their competencies. Following the advice and information on the Careers and Employability Service website, I soon realised that preparation was key, so I made sure I did my research, took the opportunity of a phone call from a graduate recruiter to be certain about what the day would involve and what I was being assessed on at each stage. 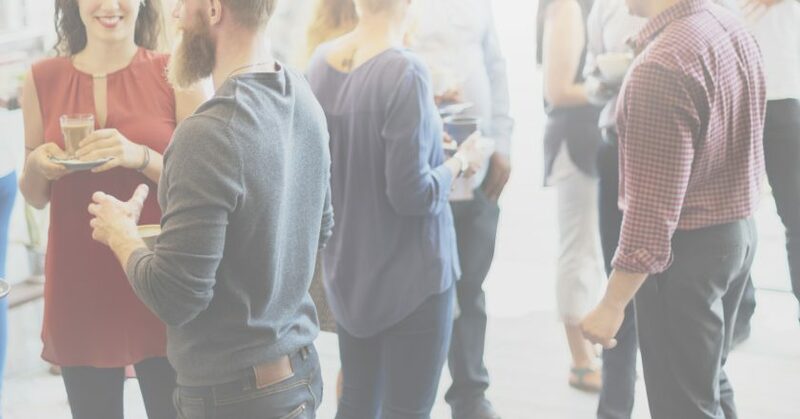 Like many businesses who adopt this style of recruitment, TeachFirst base their assessment centre on their core values and eight vital competencies which you must demonstrate across the three parts of the day. It’s also interesting to know that most assessors are former trainees and have taken part in the scheme themselves. The interview was comprised of six questions which asked me to provide examples of when I had demonstrated different competencies, and then a situational task which was a real-life scenario presented to me on a piece of paper with questions below for which I had one minute to answer. This was a role play activity where the five of us were put in a room and given a case study scenario to read for 15 minutes, and to then discuss and reach a decision within a further 21 minutes while being observed. I found this the trickiest part of the day as it’s definitely the most unpredictable – you don’t know who you will be in a group with or what their style might be. One thing which I think perhaps helped me to stand out here was that I had thought beforehand about which of my skills I wanted the assessors to see in this activity, and therefore wasn’t panicked about being the loudest voice or speaking the most. I wanted to get across that I was thorough, understanding and empathetic, which I did quite well as others in the group jumped in too quick and misunderstood the task! Another shock element of this was that we were put on the spot at the end and asked to stand and answer a question within one minute. Having been emailed the lesson titles to choose from a week before the day, I had planned every detail of my seven-minute sample lesson and knew exactly how I wanted it to run. I was concerned that treating two assessors as primary school children might cause an issue for me but their acting skills made it very easy to jump into character and combat their childlike disruptions without too much fuss! I felt this was definitely my strong point of the day as I had again thought through a lot about what they would want to see and made my lesson structured and interactive for the two ‘pupils’. Finally, after this I had to do a 15 minute written self-evaluation, which is easy to overlook but is actually an integral part of the assessment process – they want to see that you are able to reflect on your own work. It was an action-packed day, as it is with most assessment centres, but actually it was surprisingly fun. No really – it was enjoyable! Because of the nature of inviting a group of about 20 people on one day, there was quite a lot of waiting around but the facilities were great; sofas, a TV, tea and coffee making facilities etc. What perhaps struck me most about the day though, was how much I enjoyed meeting people; people who were from all walks of life with the same ultimate goal, but very different stories. My advice for anyone with an upcoming assessment centre is definitely to prepare: make sure you know about the components of the day and what it is they want to see – that way you’ll know how you can best showcase yourself. Don’t forget, there are plenty of events and resources at your disposal too – I’d urge you to have a practice assessment centre (as this was my ‘practice’ for my third year applications). Want to hear more student stories like this? 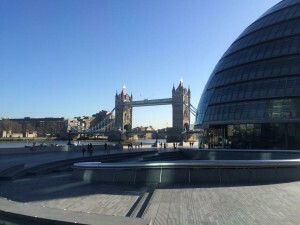 Read Abi’s post on ‘Why Failing an Assessment Centre Made Me Realise I Was Pursuing the Wrong Career‘ where she shares her lowdown on an assessment centre at Disney HQ, and Alice’s article ‘How I Survived my First Assessment Centre’ to hear what paces the British Council will put you through at theirs. If you’ve got an assessment centre coming up, watch at the assessment centre video that covers each stage of the process. To watch, log in using your University username and password.